How much does it cost to rent the barn? Please send us a message (on the main Barn Rental Page or to caponcrossing@gmail.com). We’d like to hear more about your event, what you’d like from us in terms of services, and schedule a time to meet with you so we can discuss price and refundable deposit, and give you a tour of the barn. (Coming to one of our Bluegrass in the Barn concerts is a great way to see an event in action and get the feel for the flow of the barn layout!) Once you send us a message, we’ll send along an info sheet with lots more information. Do you have tables and chairs available for our event? We have 40 brown folding chairs (that we use for seating during our Bluegrass in the Barn concerts) and some standard, rectangular Rubbermaid tables. They are yours to use if you’d like! We could also provide straw bales for ceremony seating. Otherwise, you’ll need to find a rental company. We can talk about local options during our meeting. Limited parking is available right outside the barn; plenty of parking is available along our driveway and in the field above the barn. Cars can be driven right up to the barn doors for handicap accessibility. Can I have my ceremony somewhere other than the barn? 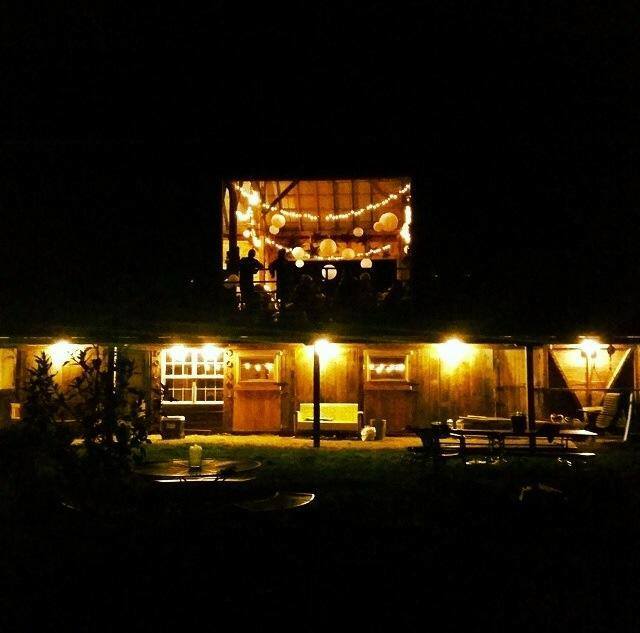 Yes; you can have a ceremony within the barn “yard” at no additional cost, or choose somewhere outside of the barnyard for an additional $250 (to cover the cost of landscaping). Of course! In fact, have you heard of Bud’s Collective? They are our house band and are always the featured performers at Bluegrass in the Barn. If you schedule a meeting, you can meet with Buddy Dunlap and talk to him about booking Bud’s Collective and/or using our Bose sound system for the band or DJ of your choosing. Please send along other questions you have! It will help us expand this FAQ section!